Patrick Reading, Architecture • Photography: Get yours. You've come to know Patrick Reading, Photography as an exclusive portrait and fashion photographer, but did you know I sell fine art photography as well? Well, I've made it easier than ever to own a work of fine art for your own home, business or clients! I've recently partnered with Fine Art America, the intertubes premiere on-demand art provider! Fine Art America specializes in gallery quality prints of artists from around the world and in addition to providing giclée prints on art papers, stretched canvas, or acrylic panels, they also provide contract quality custom mats and frames at reasonable prices. With 19 frames, 78 colors of mats, and sizes up to 72" on some images, you can be guaranteed to find a combination you like. 1) Direct from my Facebook page! 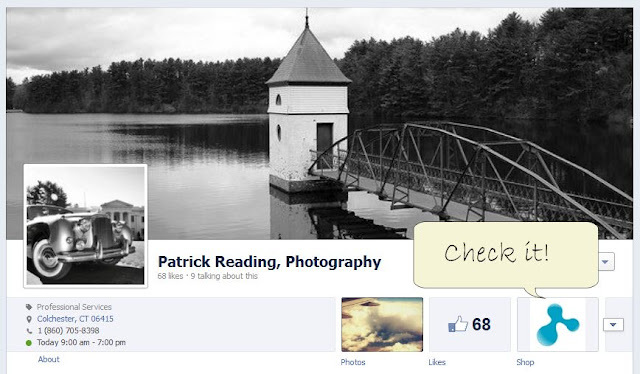 That's right, If you visit http://www.facebook.com/ReadingPhoto you'll notice a shop tab under our header images. There will also be periodic updates of new photos added to the catalog that will bring you to my Facebook shop! Once in the shop, you can see all my images to available to date. 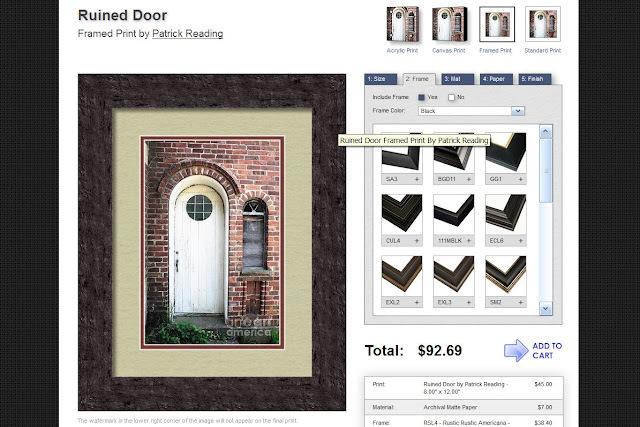 You can sort by print style and image tags to find something particular. You can view images and base prices and click to order which will bring you to the main ordering page where you can pick your options. 2) From www.patrickreading.com! Thats right. Just click on the "Art Prints" link to head to a special page with the art, just the art, and nothing BUT the art. All ordering takes place without added distractions, no ads, nothing. And all of it is secure, backed by the webs premiere fine art print provider. You can rest assured that your new purchase will be of the highest quality, your payment information will be kept secure, and shipment will be quick and insured. For a limited time only, Use the code: SYHVPU to take 10% off the art price. This discount doesn't apply to options. like frames, mats, etc, but its a great way to get yourself original art at a good price. This coupon code is good until the end of June, so hurry! Design professionals! Are you an interior designer looking for art for a client? As an architect, I know how excited I get when I can get a bargain because of my license. Drop me an email, or call me at 860-705-8398 to get a 25% off discount code for design professionals! You can use this to fill up your new doctors office with photo art, custom frame a complementary work for your clients living room, or just get something for your own dining room! Dont forget to have your professional license number handy, or trade association membership number. This deal isn't just for anyone! Architects, interior designers and decorators, you're welcome! Oh.. and before I forget... If you've read this far down, you've got some work to do! Once my FB page gets up to 200 likes, I'll be giving away a free 8" framed art print to one lucky random fan! So spread the word! The lucky one might be you!